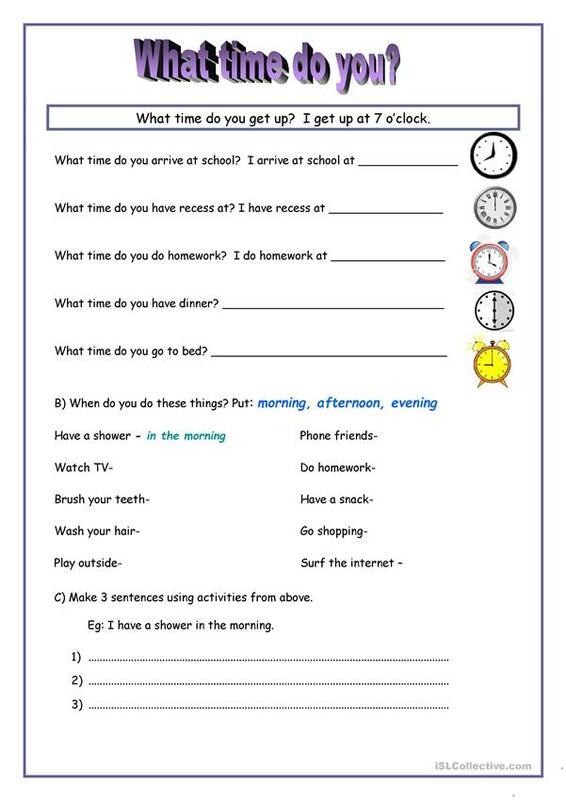 A worksheet to review the times and the routines. It also takes a look at "in the morning, in the afternoon, in the evening". The above downloadable worksheet is best suited for elementary school students and adults at Beginner (pre-A1), Elementary (A1) and Pre-intermediate (A2) level. It is useful for strengthening your pupils' Writing skills. It features the topic and words of Time. Zora is from/lives in Canada and has been a member of iSLCollective since 2010-11-11 17:32:40. Zora last logged in on 2018-12-18 08:05:34, and has shared 57 resources on iSLCollective so far.